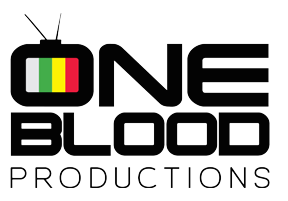 Initiated in March 2010, the One Blood Music Festival has become a popular platform for local artists and an event not be missed for the youthful audience who religiously attend each edition. The event strives to showcase a wide range of musicians from all corners of the Bay, covering various music genres such as Jazz, Hip Hop, Reggae and Soul bands. The One Blood Music Festival 2014: On the 22rd of March 2014 we hosted the 5th edition of the Festival at the Grand Hotel in Central Port Elizabeth. The concert raised funds and awareness for the NPO Artworks for youth based in Joe Slovo, who teaches kids art after school. International Hip Hop artists Jean Grae (USA) and Slam Poet Champion Luka Lesson (AUS) both spent a week in Port Elizabeth and worked with the children of Artworks for youth and local musicians. The final showcase of the collaboration turned out to be an amazing event, filled with good energy and quality performances.